Video footage of a lovers’ squabble has emerged online sending internet users into bouts of laughter, amazement, and even shock. In the clip, the evidently jilted woman scolds her husband inside his car as she accuses him of being an irresponsible drunk. She points out how she stood by him and spent Sh120, 000 on his hospital bill while he was in ICU – an amount she demands to be compensated. 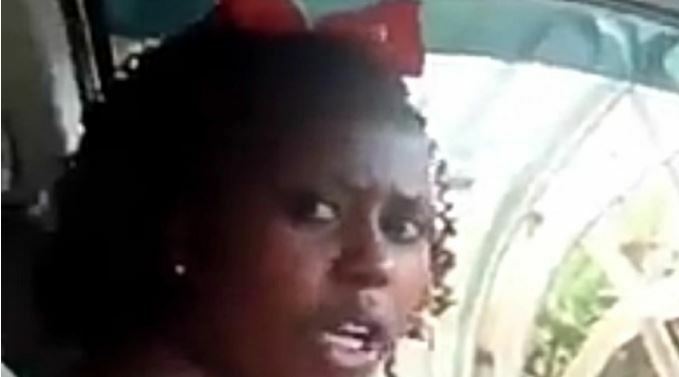 The embattled man pleads with her to alight from the car but the furious woman refuses, saying her husband has been elusive ever since he landed a new job. She says she will alight from the vehicle once she is compensated for the 10 years they have been together. “You are not the only man. I will get a man and a half! Mwenye atakuwa ananisaidia na watoto si wake. “I will get a man and a half who will build a house for me and take care of my children. You used to get drunk to a point you were admitted in the ICU,” she says. “Pay me for all the years you have slept with me, eaten my food and lived with me. You got a job and started thinking I was a stupid woman,” she continued. According to the woman, her husband was not able to secure a job but after finally getting a job, he decided to call it quits and even moved on with another lady, identified as Betty from their heated lovers’ quarrel.